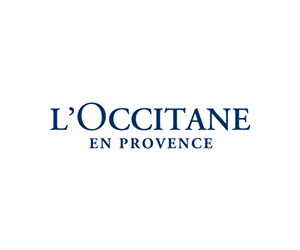 L’OCCITANE brings you the magic of Provence captured in unique skincare and fragrance products made from the finest and most effective ingredients. Inspired by the famous art de vivre of Provence, L’OCCITANE products are rich in active natural ingredients and beautifully scented essential oils. Our core values ensure that the choice of ingredients – natural, plant-based and often organic – guarantees the highest level of quality and traceability. The care we place into our products is echoed further by the work of the L’OCCITANE Foundation, which promotes the emancipation of women in developing countries, supports the visually impaired and fights for the preservation of the environment. Some retailers have their own policies and restrictions. Before shopping, please ensure you review the Special Terms of L'Occitane AU (above) for further information. Complete your purchase in one session and without leaving L'Occitane AU. Do not click on any bookmarks or advertising banners or links once you leave ANZ Bonus Points Mall. Enjoy free standard delivery on all online orders over $100. Purchases made via Standard Shipping and Parcelpoint are shipped from our warehouse in Sydney by Courier to arrive within 5-7 business days from receipt of your order. Purchases made via Express Shipping are shipped from our warehouse in Sydney by courier to arrive within 1-4 business days from receipt of your order. It is L'Occitane's intention to satisfy our customers. For this reason we will gladly issue a full refund to the original credit card for any unopened merchandise that is returned within 14 days of the receipt of purchase. To return any items, please contact Customer Service on 1300 752 764 or by email contact.en-au@loccitane.com Monday to Friday 9.00am to 5.30pm for a return authorisation number.